Walmart, who is the nation’s largest private employer, announced yesterday that due to President Trump’s tax cuts they would be raising their employees’ minimum wage to $11 an hour. They also announced a sliding scale of bonuses for workers. A Walmart spokesman told CNBC that employees who have been with the company for more than 20 years will be eligible for a one-time $1,000 bonus. Those with two to four years of experience will receive a $250 bonus. Employees with five to nine years of experience will receive a $300 bonus. Those with 10 to 14 years of work there will receive a $400 bonus and those with 15 to 19 years of service will receive $750. They will expand maternity and paternal leave benefits as well. Walmart said the wage increases will cost $300 million and the bonuses will cost $400 million. “Today, we are building on investments we’ve been making in associates, in their wages and skills development,” said Doug McMillon, Walmart president and chief executive officer. He also said, “It’s our people who make the difference and we appreciate how they work hard to make every day easier for busy families.” Walmart also vowed to offer financial assistance to their associates who decide to adopt a child; the credit will total $5,000 per child and may be used for expenses such as adoption agency fees, translation fees and legal costs. When it’s all said and done, the wage and benefits that Walmart is putting in place will impact well over one million Walmart employees. “This law is helping improve people’s lives,” Speaker Paul D. Ryan, Republican of Wisconsin, said in a tweet on Thursday, citing Walmart’s actions. Cue the massive liberal media anger over this good news. But it wasn’t all good news for Walmart yesterday. Amid the restructuring going on in the company, the Sam’s Club brand took a hit. At least 63 Sam’s Clubs are being shuttered across the country. A number of them did not open yesterday and what was even worse was they did not tell employees they were closing down. A number of them may reopen briefly to sell off inventory, but the official close date is Jan. 26th. It was rumored yesterday that all Sam’s Clubs would be closed down by the end of the year, but I could not verify that. That sounds bad, but at least 11 of those operations will reopen as digital fulfillment centers as Walmart shifts in the digital age to online sales and using robotics in their facilities. That’s actual progress. But that didn’t stop Democrats from attacking Walmart and the Republicans over it. The unions chimed in too. The left seized on the news to question Walmart’s motives and criticize the tax bill as failing to protect low-wage workers. The United Food and Commercial Workers International Union, which hopes to represent Walmart’s non-unionized work force, called the wage increase a “public relations stunt” meant to distract from the closings. That’s a blatant lie and I would expect nothing less from commie unionists. That’s not it at all. Think back to the Industrial Revolution. This is the digital revolution and things are changing. Either Walmart can evolve to stay competitive with the likes of Amazon, or they will go under. It’s just that simple. It’s basic economics, something the left cannot and will not grasp. Senate Democrats, citing the closings and a $20 billion stock buyback announced last fall, said in a statement: “The real response of companies like Walmart to the Republican tax bill has been to ensure that its already high-paid executives and wealthy shareholders reap the overwhelming benefit, leaving thousands of workers standing in the cold without jobs.” Which is not the reality here at all, but lying was never a problem for the Democrats. I will say this, the timing of the closings was very poorly thought through. It’s bad PR and you should never shock your customer base or your employees in that manner. Walmart needs new management – they have made a number of blunders like this over the last couple of years. “They snatched defeat from the jaws of victory,” Scott Galloway, a professor of marketing at New York University’s Stern School of Business, said in an interview. 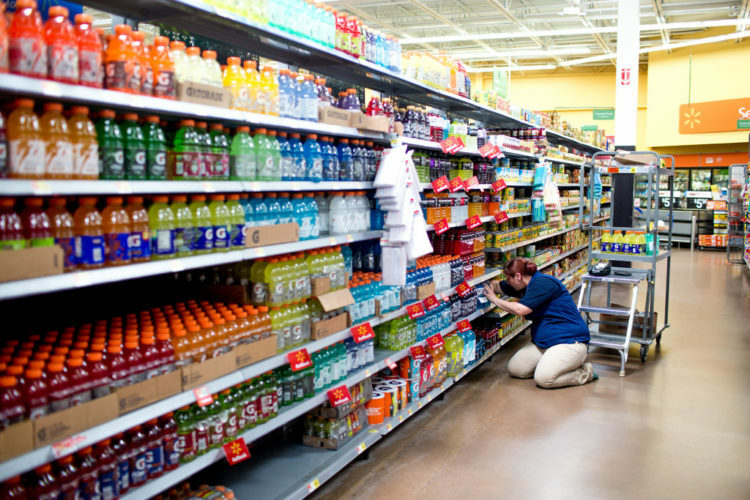 “Walmart made a smart move in increasing wages and investing in human capital. Where they screwed up was politicizing it.” I find myself in agreement with Professor Galloway. Walmart is the country’s single largest corporate taxpayer. From a business perspective I get what they are doing here. But the public will remember the bad far longer than the good. There was no offset on it yesterday and it should have been done in a completely different manner. Regardless, Trump’s tax cuts are spurring massive growth and change in the retail sector. It will be messy, but far better in the end. I’m not sure Sam’s Club employees will see it that way though.